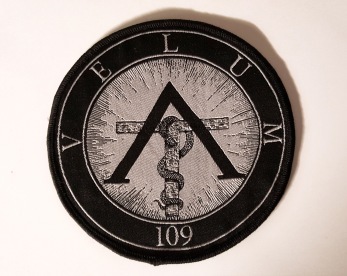 Circular woven patch depicting Velum logo. 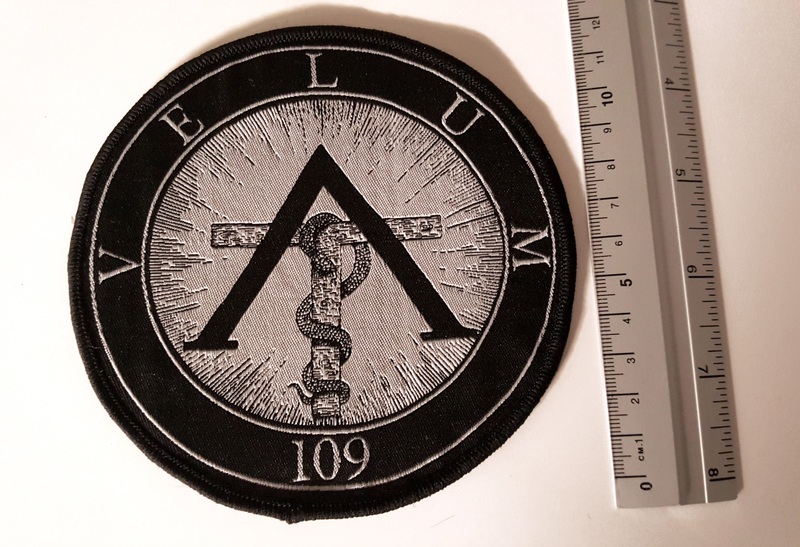 Diameter is 12 cms. White thread.